We would like to extend our warmest invitation to you to participate in the Global Nursing Symposium. The theme of the symposium is Nursing Practice, Nursing Education, Nursing Management, and Disaster Management. 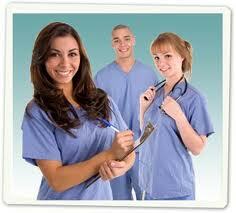 Nurses play a pivotal role in the promotion, maintenance and restoration of health. There is a global trend of shifting the focus of healthcare services from traditional hospital setting to community and home care. The role of nurses in the delivery of primary, secondary and tertiary care is evolving as the mode of delivery of healthcare services undergoes major transformation. Nursing is increasingly concerned with system-wide innovative approaches to advance the provision and quality of care in community and home settings. The symposium will provide a valuable opportunity for nurses from different cultural backgrounds and diverse fields to changing role of nurses in community and home care from international perspective, to promote the generation and implementation of evidence based practice in community and home nursing. Through sharing and exchange of information on the latest developments in the disciplines among experts from across the globe, the Symposium will contribute to formulating global and regional strategies in advancing nurses role as well as developing policy initiatives in as it relates to nursing practice, nursing education, nursing management and disaster management. We look forward to welcoming you to beautiful City of Los Angeles in Southern California. Based on the approval for submission of paper, deadline for submission of final paper is no later than, December 28, 2019*. The Global Nursing Symposium will set aside space for those who wish to pursue discussion of a particular topic or issue. Interested individuals should submit a proposal not more than 400 words, on or before December 26, 2019. In addition, the proposal should indicate the duration of the panel discussion (preferred duration is 90 minutes). We understand that some presenters will not be able to make the trip to United Stated to present their research paper mainly due to financial and/or political restrictions on travel. Therefore, with the use of Skype, authors of accepted papers have the same publication opportunities as regular presenters. Conference fees are the same for both virtual and face-to-face presentation. Please reference Global Nursing Symposium in your submission. The Global Nursing Symposium invites presenters to become a Session Chair. Individuals that are interested in participating as a Session Chair, please email your Resume or CV to nursingconference@uofriverside.com. The proposal will be reviewed by the Steering Committees. $100 USD discount for paid registration fee received on or before December 5, 2019*. Checks, Cashier’s Checks and Money Orders can be made payable to: La Sierra Group. Wire Transfers** are accepted. You may email us at nursingconference@uofriverside.com for further details. *Non-Refundable/Non-Transferable fee must be received by the early bird deadline of December 5, 2019 to receive the $100 discount, this includes completion of wires and bank transfers by this date. 14.4 CEUs for attendance/participation of symposium. To be announced. Please note the conference details are subject to change without notice. You may email us at nursingconference@uofriverside.com if you have any questions. Please contact the hotel directly for reservations. For additional assistance, you may email us at nursingconference@uofriverside.com. The full 2-day conference is available as a set of DVDs. If you are interested in a particular presentation, you may purchase a single DVD with your desired presentation only. Total cost for a single DVD is $79 USD and total cost for a complete set of DVDs per conference is $199 USD. Tax and shipping is not included. If you would like to purchase DVDs or you may email us at nursingconference@uofriverside.com for further details.